Gaining fame and popularity in this day and age seemed too easy to accomplish because of the various social media platforms Internet users have. YouTube, Facebook, Twitter, and Instagram are just a few of these much-abused apps, which with one click, a video, a post, a tweet, or a photo can go instantly viral in just seconds. However, this isn’t the case for Grand Forks Herald writer and columnist Marilyn Hagerty. In fact, with all the hullabaloo going on, she still has not figured out why her review of the new Olive Garden restaurant in Grand Forks, North Dakota got people intrigued and interested. Heck, she can’t even understand the words “viral”, “trending” or “Internet sensation”. “I don’t get it. I don’t have time to sit here and twit over whether some self-styled food expert likes, or does not like, my column,” the unfazed 85-year-old said during an interview with Village Voice. She only learned about how much attention her review has been getting when her children pointed it out or when she gets snotty emails with words like “pathetic” written all over it. Hagerty’s unexpected popularity began when readers caught her earnest review, calling it a breath of fresh air from the usual restaurant analysis done by snobbish food critics. It was her unbridled enthusiasm and no-holds barred description which kept people coming back for more, especially when various sites picked the story up. The food blog called “The Denver Omelette” took notice of the piece which then was picked by Guyism, calling it “unwittingly hilarious”, and later by City Pages, of which the site stated “it was the greatest restaurant review ever written.” The Huffington Post and even The Wall Street Journal, where Hagerty’s son works as a writer, made a piece about it which further spread the viewership to more than 500,000. Soon, everyone who has seen or read the review has been talking about it, some even saying a few quotable quotes, such as “the Chicken Alfredo was warm and comforting on a cold day” and “it is the largest and most beautiful restaurant”. While it is still unclear why or how the Eat Beat article got so many hits, Hagerty felt it is something she shouldn’t focus or care about. She still has to finish her Sunday column or has to play bridge that she got no time to “read all the crap” people throw at her. It might seem impossible that not a single soul has read the review but in case they have been living under a rock, here is a few snippets of what Hagerty said about her dining experience at the long-awaited Olive Garden Grand Forks branch. The writer started off that she went to the newly-opened restaurant during mid afternoon to avoid the long lines. She was immediately impressed by the ambiance and decor of the restaurant, which was comparable to the old-fashioned farmhouse style popular in Tuscany. The entryway also had a welcoming and inviting vibe which makes it easier for people to wait in line. Hagerty was seated in a booth near the kitchen, where she was able to see the busy waiters doing about with their business, punching orders in the cashier and bringing out fresh servings of pasta, bread, and drinks. 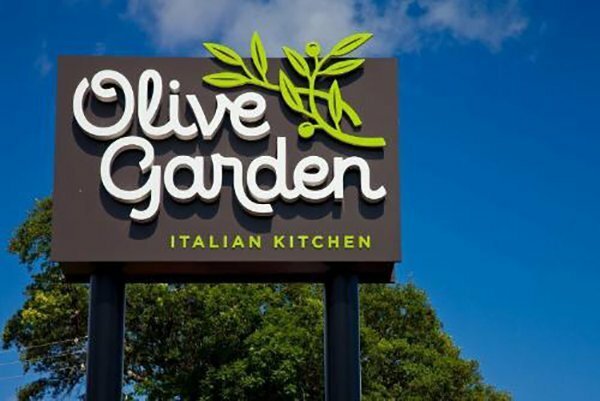 The writer mentioned it has been a few years back since she last went to the Olive Garden in Fargo that is why she took the liberty to study the menu. Unfortunately, she felt undecided and had to ask her server what would she recommend. The waitress suggested the chicken Alfredo so that was what she ordered, alongside a glass of water. She commended the generous portion and how attentive her server was as she seemed to be always ready with the Parmesan cheese. From here, she continued to apprise the interior of the restaurant, mentioning that the vases were with permanent flowers and how the fireplace added warmth to the ambiance. She concluded that the Olive Garden was worth all the buzz, which was on-going for decades, and that it was the most beautiful restaurant in Grand Forks. Of course, it wasn’t only Marilyn Hagerty who got famous out of the review as the Olive Garden in Grand Forks also took a few notices. Amanda, the culinary branch manager of the franchise, said she hadn’t got the chance to read the review but was glad customers have been flocking in although she did mention that it wasn’t because of the review. “I know they’ve been wanting it for a long time, but that’s excellent that we’re getting it now,” Amanda said.